New Generation Gymnastics Academy Inc. This schedule will start on September 4th and run through June 22. Boys and girls, walking to age 3, will be introduced to beginner gymnastics and discover the joys of movement with the help of Mom or Dad in the the atmosphere of a supervised playgroup. Boys and girls, ages 3- 5, will begin to learn basic gymnastics skills on vault, bars, beam and floor without the help of Mom or Dad. Students will begin to learn many gymnastics skills such as rolling, cartwheels, swinging, and jumping. They will also learn a variety of balance skills in a safe and fun environment with equipment and matting made especially for children. 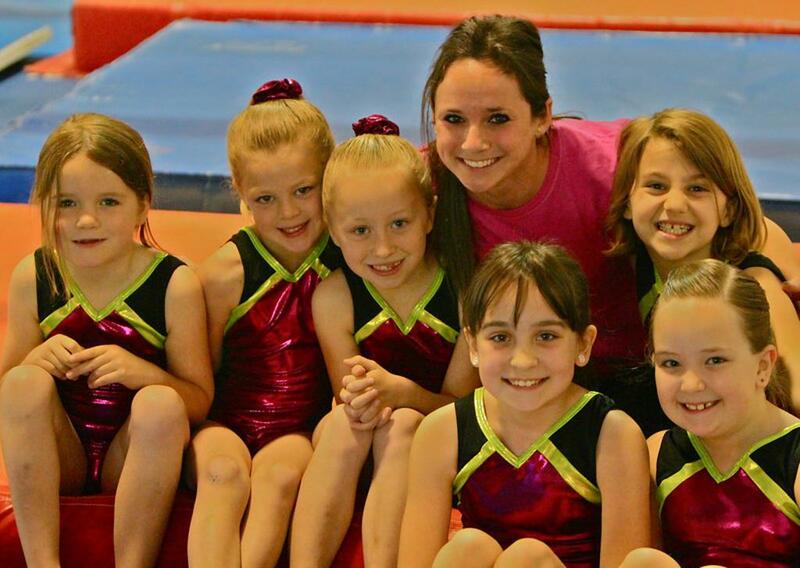 Girls, ages 5-6, who have little or no gymnastics experience. This class will be a safe and fun way to learn basic gymnastics skills along with coordination, strength and flexibility. This class is made for girls that are ready to move beyond a beginner class but may not quite be ready for the intermediate level. Your coach will let you know when you are ready for this level. These classes are for girls that are in high school (or middle school) that would like to get ready or stay in shape for the high school gymnastics season. Please call the gym to schedule a class. Girls who have little or no gymnastics experience. This class will be a safe and fun way to learn basic gymnastics skills along with coordination, strength and flexibility. In this class, the gymnast will perfect their abilities on vault, bars, beam, and floor. This will lead them to work safely towards gaining more difficult skills through proper progressions while enhancing their self-esteem. These classes are for those girls that wish to only learn gymnastics skills on floor. The main focus is round-off’s, back and front handsprings and side aerials. These skills will be taught through proper progressions and drills in a safe and fun environment. Everyone is invited to join this team! You will learn routines, get a competitive leotard & warm-up and have a great time competing with your friends! You will learn your routines September – December while still working on new skills and the competitive season runs from December through April. If you practice one time per week, you are invited to compete in our home meets and if you practice two times per week, you compete in our home meets and about two (local) away meets! We offer five different practice times for the Rec Team and you are able to choice whichever one (or two!) that works best for you! If you plan on coming 2x/week, we do ask that one of your choices is a regular class. The season finishes with a special competition at NGGA where everyone takes home a trophy!! Don’t miss out on this great opportunity – JOIN NOW!! ©2019 New Generation Gymnastics Academy Inc. / SportsEngine. All Rights Reserved.